Since the 1950s, the experimental style, bohemian life, and rebellious attitudes of the Beats have influenced literature and culture. Many Beat writers and their associates, such as Allen Ginsberg, Jack Kerouac, William S. Burroughs, Robert Creeley, and Kathy Acker, are now included in classroom anthologies, and continue to have popular appeal for their unorthodox writing style and anti-authoritarian point of view. 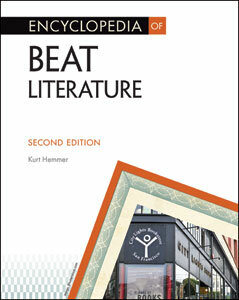 In an A-to-Z format, Encyclopedia of Beat Literature, Second Edition contains hundreds of entries on all the major figures and great works of the Beat movement. Contributors include distinguished Beat scholars and friends of the Beat generation, including the Beat poets Andy Clausen and Ed Sanders. Other features include a foreword by Ann Charters, and an afterword by Tim Hunt. This new revised edition of Encyclopedia of Beat Literature contains updates to the biographical entries of all living writers, as well as updates to the appendices. Family, friends, and associates of the Beats, including Bob Dylan, Jim Morrison, and John Lennon.